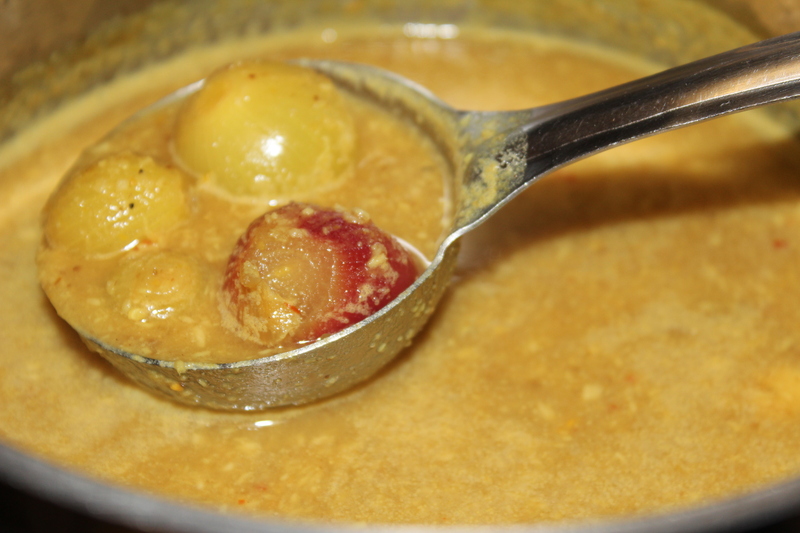 There are many vegetables that you can use for this kind of sambhar. My personal favorite is small onions. You can even use yellow pumpkin (cut into small pieces) or okra (cut into medium size pieces). If you are using small onions, then peel the onions first. The best way to do this is to soak it in warm water for 10 mins. This makes it easy to peel. Once you have the vegetables ready, fry them a bit in coconut oil. If you are using tamarind, then soak the lemon size in warm water for 20mins. Squeeze out the tamarind water, you should have around 3 cups. Add tamarind water, turmeric and asafoetida and continue to boil until the vegetables are cooked. To make the coconut paste, first dry roast the coriander seeds and the red chillies slightly. Grind the coconut and the dry roasted with some warm water. Once it is ground nicely, add to the above tamarind water. Add the cooked dal and cook a bit more. Be advised, do not let the sambar boil. Add salt and finally temper with mustard seeds. 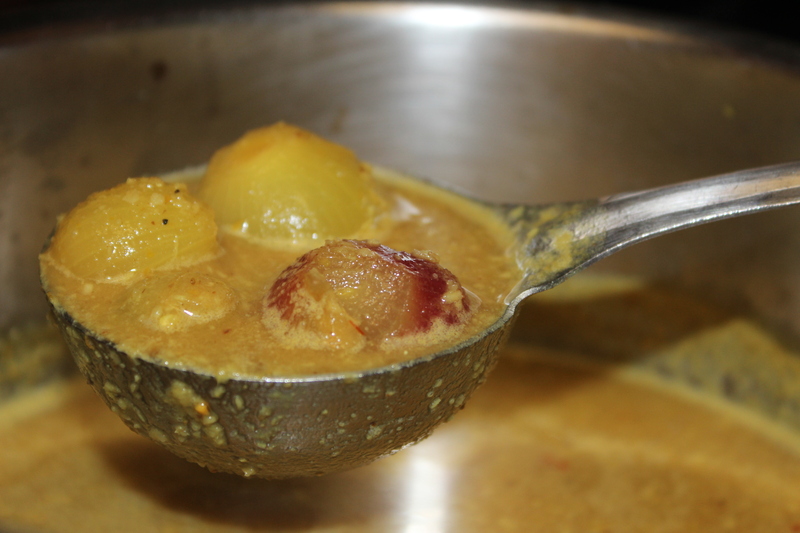 Yummy sambar is ready!! !